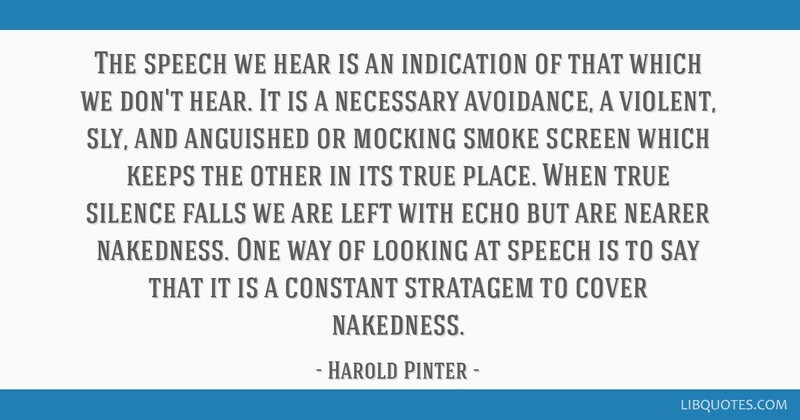 The speech we hear is an indication of that which we don't hear. 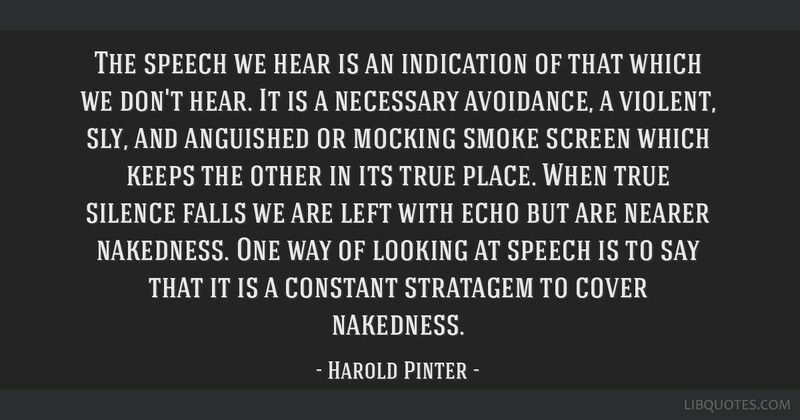 It is a necessary avoidance, a violent, sly, and anguished or mocking smoke screen which keeps the other in its true place. 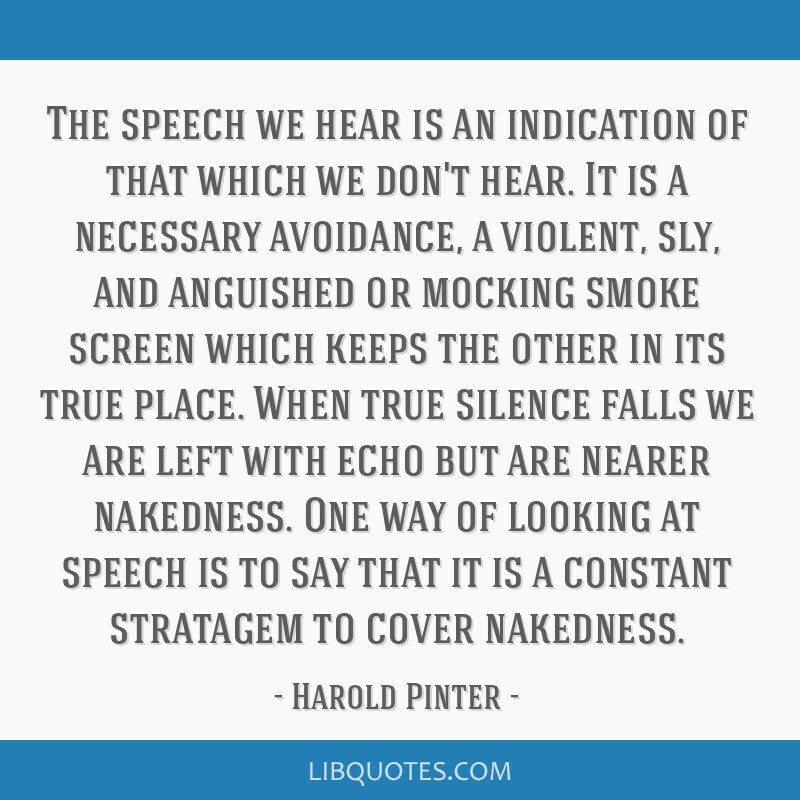 When true silence falls we are left with echo but are nearer nakedness. 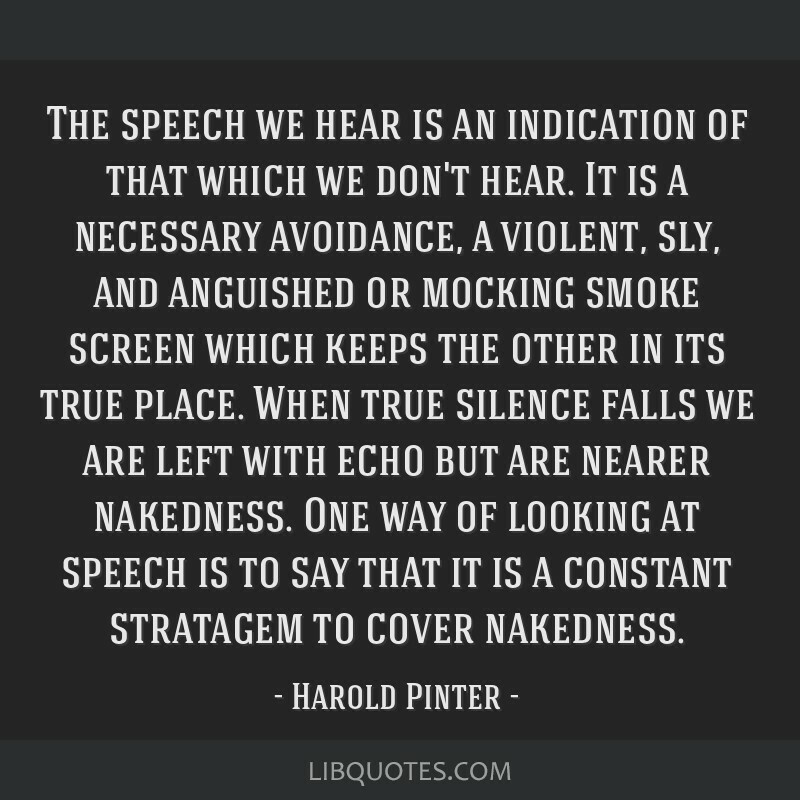 One way of looking at speech is to say that it is a constant stratagem to cover nakedness.